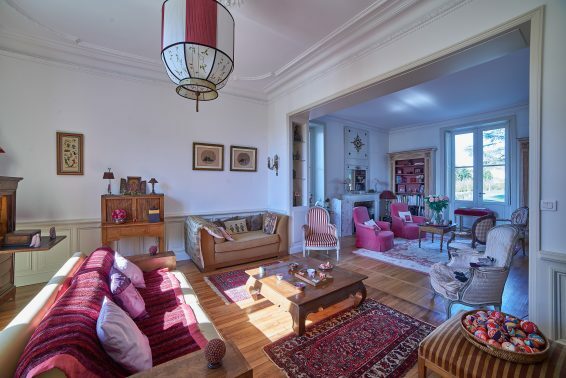 Resolutely French and welcoming, typically bourgeois, skilfully modernised by its owners who are keen travellers, this is the spirit of LE CELADON residence. Ideally located in the heart of the town centre and set back from the street, its beautiful facade commands curiosity and admiration. After the driveway, the front steps lead up to the entrance that opens out on to the dual-aspect entrance, as well as on to the park and the reception rooms, the small office and the family kitchen. 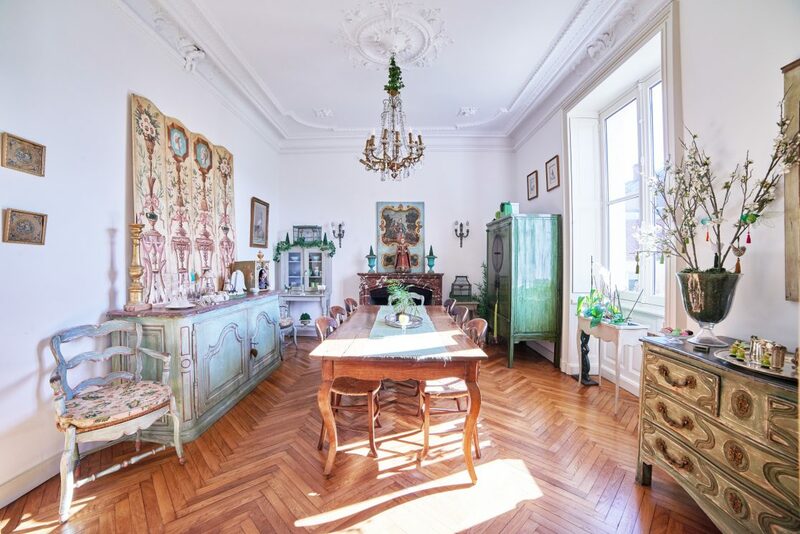 Restored with taste, from the past, the residence has preserved its original tiles, plasterwork, woodwork, fireplaces and old parquet flooring. From the present-day, it has borrowed its modernity and amenities (WCs, kitchen, bathrooms, pool and pool house). Glorified by its renovation, it is now even more charming and elegant and has become a great example of its kind. Delicious and welcoming are the dominant feelings experienced as soon as you pass through the magnificent entrance into the harmonious and vast residence that offers direct access to the large park at the rear. With a pond near the terrace, the park with its hundred-year old trees communicates with the secure pool and the resolutely modern pool house where the maritime accents of western France and souvenirs bear witness to the original notarial heritage. Several terraces, a jacuzzi and rest areas complete the exterior, a privileged place for summer evenings spent admiring the sunset or enjoying French-style breakfasts. 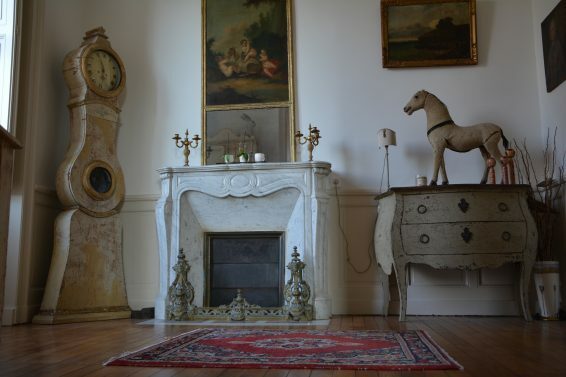 Each of the rooms in the residence reveals its own specific personality and evokes a place or an artistic encounter via its ancient objects and souvenirs brought back from the owners’ travels. Harmoniously scattered around the different rooms, they nourish and accompany evenings, encounters and discussions. “PERLE”, “NACRE”, “JADE” and “AMBRE” each boast their own colours and share the tranquillity of the site, while the “Anakha” private lounge, located on the 2nd floor, is a place for well-being, reading and conviviality.